I had the opportunity to go for a walk this past Shabbat, the weather was perfect. Looking outside my living room window, when the “Iron Dome” is deployed it sits up on a small hill. Today the “Iron Dome” is gone and the hill is a absolutely beautiful with its covering of green. It is the wheat crop that will be ready to harvest just before Pesach next April. 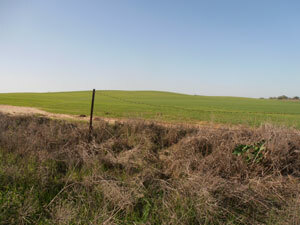 I couldn’t help but to think that this is how most of the world is seeing Sderot today as this beautiful green hill. The weather is perfect and with the cease fire holding, it is peaceful and quiet, everything back to normal, With hope for a bright future, just a beautiful sight. You can walk across the field without a care in the world. We walked up to the top of the hill and across the field, We even stopped to play a few games of Rummy Cube. I noticed that the solid covering of green was not as it appeared from my living room window. 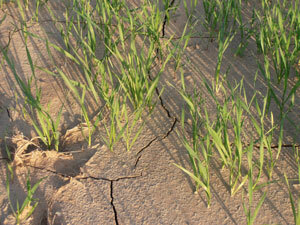 There were bare spots, the soil was cracked, dry and in need of water. In some areas you could see where the water from previous rain had eroded long swatches in what appears from a distance to be like a solid green carpet without flaw. Yes, we have a beautiful town with many wonderful people but we too, like this hill are full of bare spots left from our loved ones we have lost to terrorist rockets. We have cracks that many have fallen through when employers left town for safer places to set up shop taking with them the opportunity for employment . With wide swatches of the community, which to the casual visitor would never see, there are people who struggle just to make ends meet and could use a cloudburst of love and compassion to help them heal their land and their lives. The past fourteen years of never knowing when the next Kassam rocket will come or land has eroded our hope for peace and a normal life. 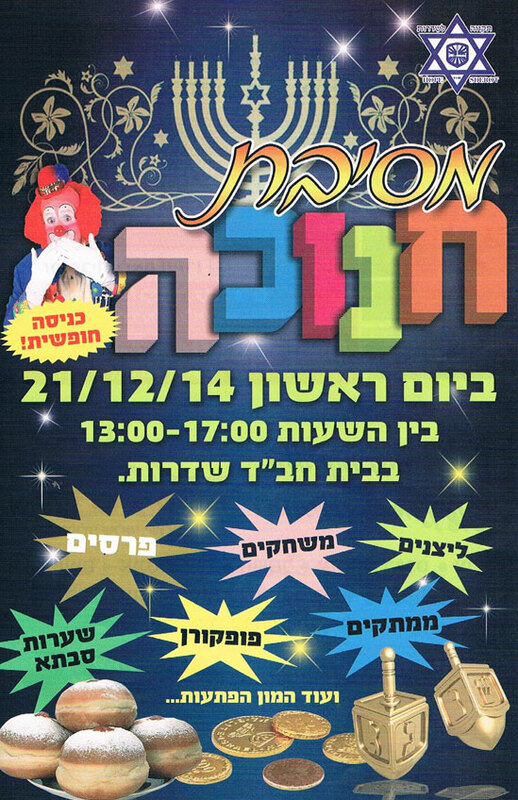 I guess that’s why our Hanukkah party for the children of Sderot is so important to us. Just like these tender blades of grass which will yield a harvest down the road our children need an opportunity to be able to just be kids, in a safe environment, if only for a few hours. Their summer was spent running in and out of bomb shelters, their lives have been anything other than normal, At least by most other countries standards. Mothers still do not let their children go more than 15 seconds away from their house even during a cease fire because every single cease fire to date has been broken, with no notice, no warning, only a “Tseva Adom” alarm blaring through the city. We only have a one more week to put the finishing touches on this year’s Hanukkah party and we still need some help. We need a miracle; we need like the field some rain to help nurture our children. Would you consider a special gift today or this week? Would you be that Hanukkah light or the one that says; “I will stand with you in the face of your enemies”; or maybe you will be the one who provides the Hanukkah miracle. “If you can, If you will please click here to help;. Toda Raba; Thank you very much.